Songs of the Kaiser's war, popular with troops on the Western Front. Made by Charles Chilton for the BBC Home Service in 1961. 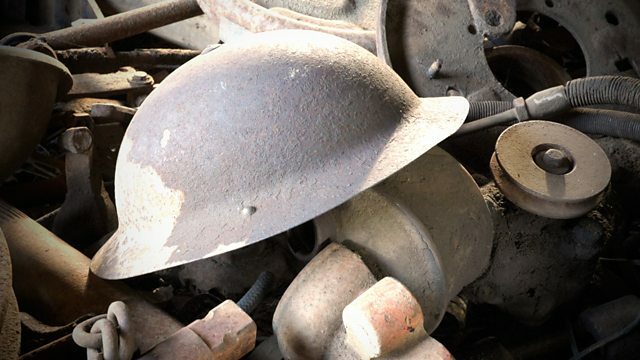 Producer and writer Charles Chilton's forgotten radio masterpiece telling the story of the First World War through the songs sung by soldiers. It was inspired by Chilton's personal quest to learn about his father, who was killed in 1918 aged 19 and whom he'd never met. Chilton went on to adapt the programme with Joan Littlewood into the 1963 landmark stage musical Oh What A Lovely War. Documentaries and dramas about life in the years leading up to and during World War One. An audio trail of the writer producer's colourful life and successful career.